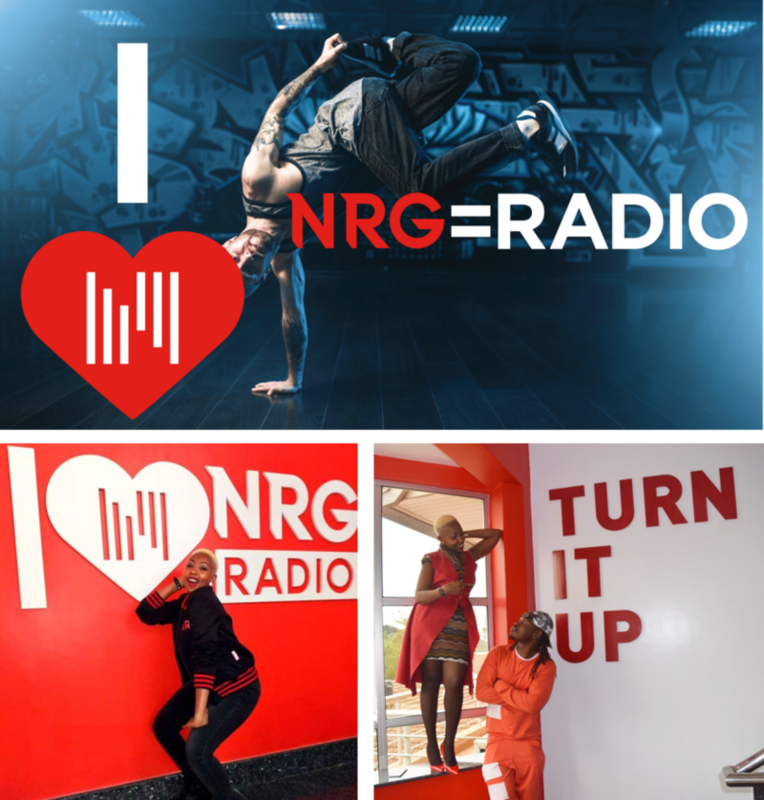 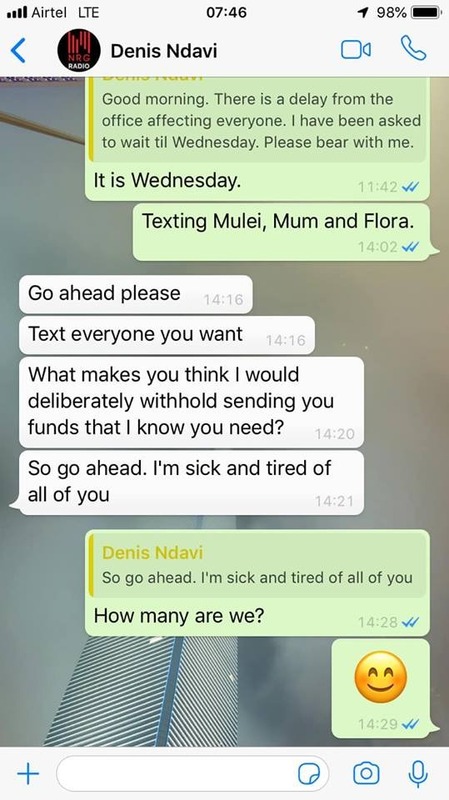 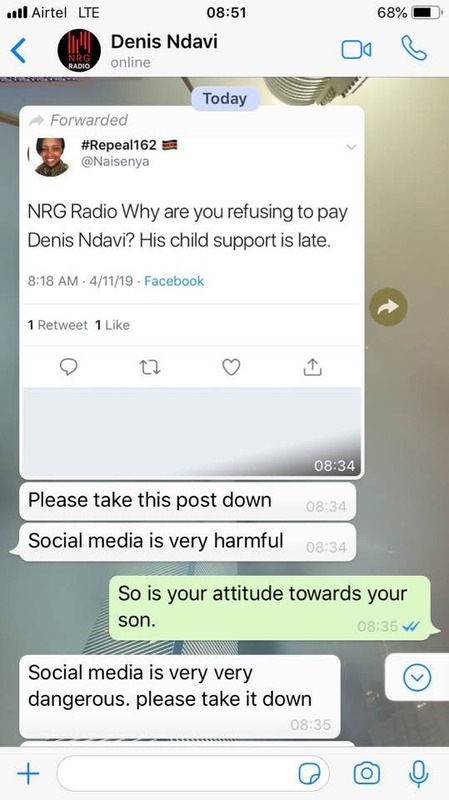 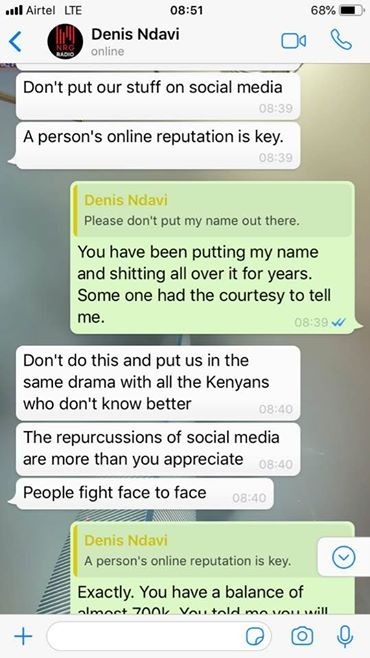 It's going to be a long night for NRG Radio Commercial director Denis Ndavi after his baby mama, Naisenya Kimani decided to embarrass him in public. 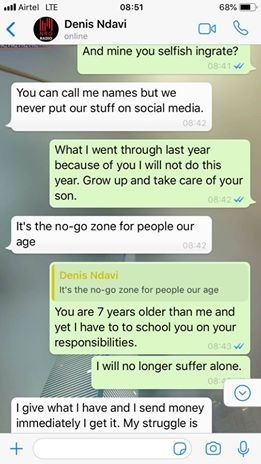 Screenshots posted by the single mother reveal that he tried to beg him to avoid the social media route but she ignored him. 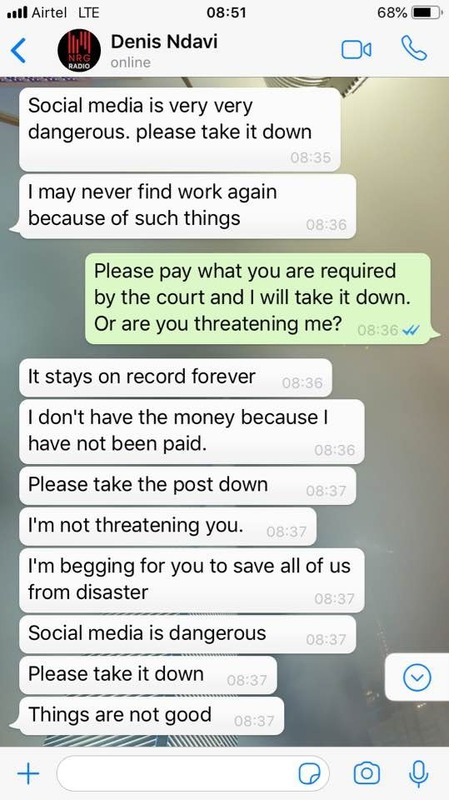 It is now too late as whatever the internet gets, it does not give back. 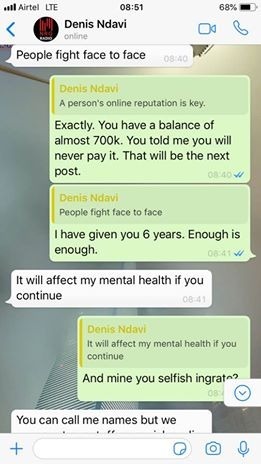 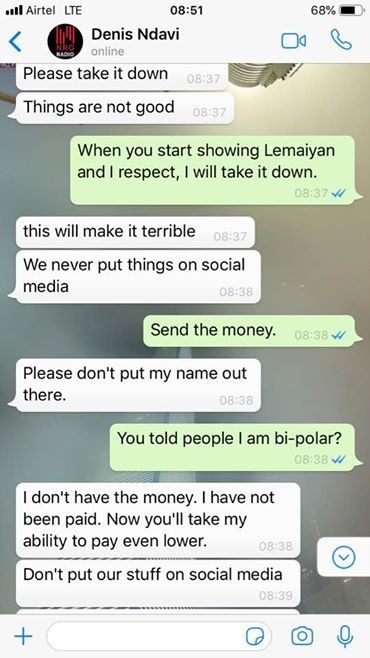 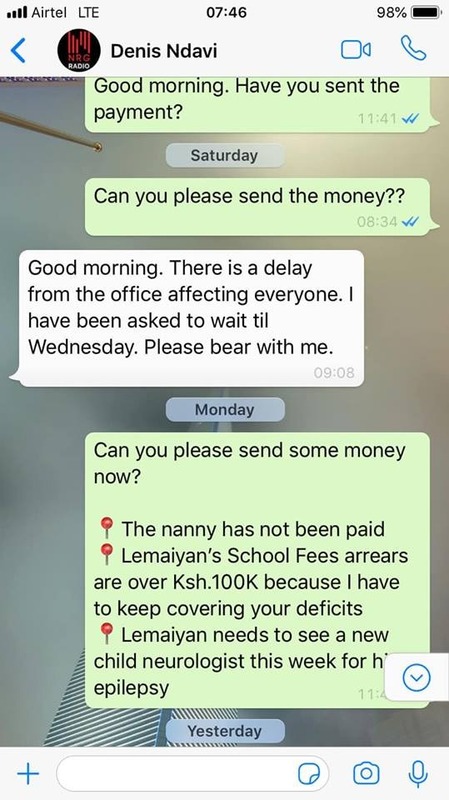 She then deleted the images on Twiter after she was paid. 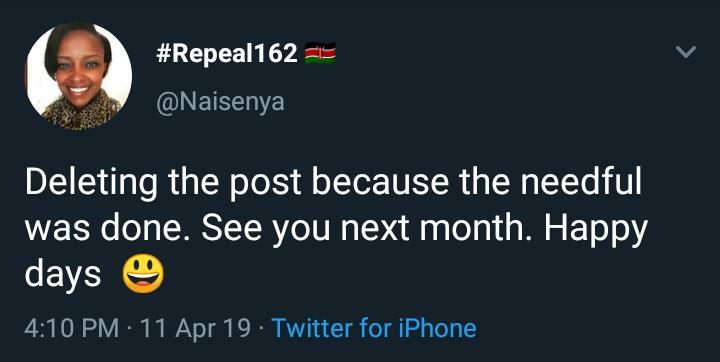 And she promised to come back next month.